I hope Toyota does it right this time around by building a nice looking green vehicle. The Prius and Prius C don't look that appealing aesthetically. So is Honda's Insight which is quite unsightly. Mitsubishi's iMiEV zero-emission electric vehicle is lacking the appeal of a mid-size sedan. The yet to be named Toyota fuel cell vehicle is at least looking good from the many pictures captured by reporters covering the currently on-going Las Vegas 2014 International CES. The fuel-cell prototype has been used for extensive on-road testing in North America for more than a year, so, there should be some baseline for the Japanese auto giant to move forward from. 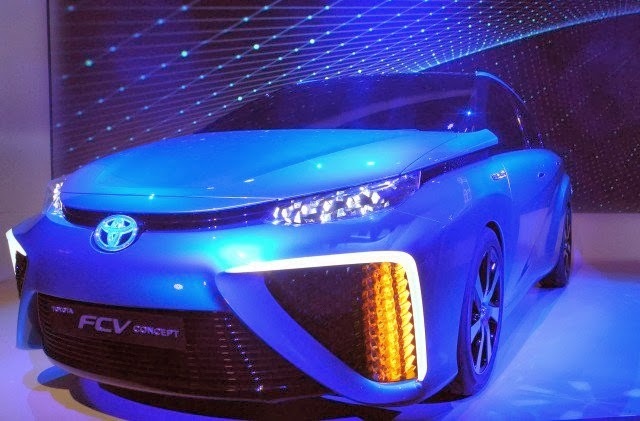 Toyota will launch a new hydrogen fuel cell vehicle in 2015, but at the 2014 Consumer Electronics Show in Las Vegas, the auto giant gave a preview of it. Toyota says that fuel cell electric vehicles will be in our future sooner than many people believe, and in much greater numbers than anyone expected. 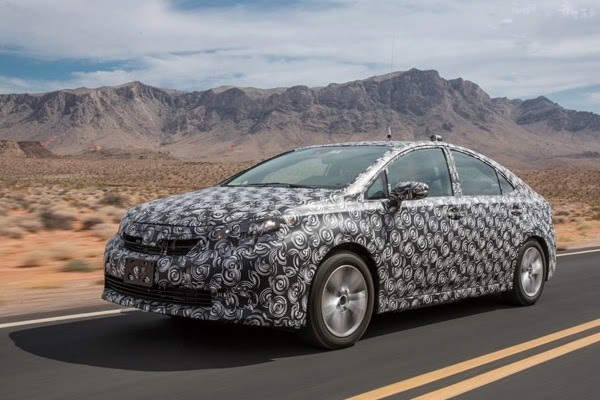 After testing the prototype on North American roads for more than a year, Toyota claims that it consistently delivers a driving range of about 300 miles (480 km) and only takes 3 to 5 minutes to refuel the hydrogen tank. Media reported that California has already approved more than $200 million in funding to build about 20 new stations by 2015, a total of 40 by 2016, and as many as 100 by 2024. It is only appropriate that, when the Toyota fuel cell vehicle launches next year, it will initially be launched in California. TheGreenMechanics: With hydrogen fuel cell powered car, what is emitted into the atmosphere is just water vapour. No smoke and no CO2.